Renowned in the industry for our excellent data, we have what many consider the definitive database of UK CAD workstation users and potential users (100,000 CAD/CAM users; 33,000 senior decision makers; 22,000 email addresses; 15,000 companies). This highly targeted data, owned and maintained by Business Advantage, enables you to aim sales and marketing collateral precisely. You can select Process Engineering companies in Scotland; Architects in London; AutoCAD, SolidWorks, Catia, Pro/Engineer users in the mechanical engineering sector in the West Midlands or anything else you want. 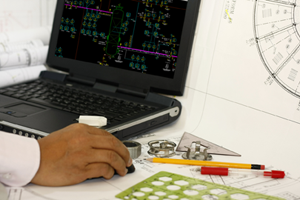 Have a look at The 10 most used CAD packages in 2013. This database is cleaned on an ongoing basis, with the details of each contact, verified at least every six months. With our expert telephone researchers refreshing the data annually, clients using this data have found that returned mail or 'gone aways' have been as low as 0.6%. Business Advantage can provide you with accurate data (see Selection Criteria and Site Count for the depth of information contained) at a very low cost and we'll keep it up-to-date for you. "We have found the UK CAD/CAM User Database to be comprehensive, fresh and accurate." This is no ordinary database, or like other lists of companies you may have used in the past. We use the most rigorous methodologies to compile, update and validate our data. This produces the best quality information available on UK CAD/CAM end users. Working from many different sources of information (including commercially available databases, industry association directories and various company databases), our specialist telephone researchers interviewed over 80,000 companies. The information gathered is distilled into a remarkable database of some 15,000 CAD/CAM user sites. The CAD/CAM User Site Database was built from the ground upwards to be a decision-maker led repository of a substantial portion of the UK technical computing market. Each company record contains up to 150 data items, and is one of the most in-depth sources of data on companies using CAD/CAM technology in their manufacturing or design business. Discover the quality of this data for yourself; we'll send you five free samples from companies in your target market at no obligation. You can add your own questions to our User Site Database survey and gain market intelligence from hundreds of companies in your target market. Business Advantage has researched and completed business development projects in all parts of the CAD/CAM/PLM sectors. If you cannot find what you are looking for please call us. We would be delighted to understand your precise requirements and discuss how to meet them with you.